Shearin Group Training Services Inc. is a company based in Avignon, France. As well-respected Leadership Development and Personality Assessment firm, we have earned the reputation of providing excellent training programs through the quality of our programs and the expertise, track-record and professionalism of our mentors and writers. There has been growing concern in the UK about evident drawbacks of the current educational system being dubbed as "exam factory". Hundreds of parents, teachers and children's writers expressed their concern that children are getting burdened by ever-increasing pressure in today's schools. "We are concerned to hear of children crying on their way to school, upset that they will not be able to keep up: of parents worried that their 4-year-olds are 'falling behind' or of 6-year-olds scared that 'they might not get a good job' ... And we wonder what has happened to that short period in our lives known as 'childhood'," says the letter signed by over 400 concerned teachers and parents. It's certainly one proof that the current model of education needs to change so students can get a more "grounded and rounded education" -- for their own good and for that of the country. According to The Shearin Group Training Services, the letter went on to touch on the ill effects on teachers and children of numerous exams dominating most of school time. Worse, some students who are under pressure would tend to switch off and just stop trying altogether. Even the so-called cream of the crop are obviously struggling to keep their place. It's as if education is all about students passing an exam, something that doesn't obviously translate to real learning all the time. They are told to retake exams countless times until they pass -- as if the act of passing itself is supposed to mean everything. As noted by The Shearin Group Training Services, such system does not help at all in preparing students for the future or in equipping them with the all-important critical thinking. In the end, this is not "teaching" children but merely "drilling" them. Another signatory to the letter who is a senior official of Pre-School Learning Alliance warned, "The current focus on formal testing and measurable outcomes risks encouraging a 'tick-box' approach to early education, a shift that would undoubtedly have a detrimental impact on children's early learning experiences." Moreover, it's not only frustrating for students but for teachers as well. For instance, statistics from the Department of Education revealed that most teachers are working more than 50 hours per week on average, most of it spent on "unnecessary or bureaucratic" activities. Michael Rosen, popular novelist and poet, said it succinctly when he commented: "You can sit in a bookshop and see people buying books full of mock tests and blank pages to fill in -- and ignoring the real books." Interviews for teaching jobs used to involve a half-hour chat to a panel of well-meaning governors. But these days, they are more like physical and psychological assault courses with presentations, demonstration lessons, psychometric tests, observations and in-tray exercises. And if you’re applying for a senior teaching job, you need to prepare yourself for the practical tests as well as the formal interview. Give a lesson plan to the observers beforehand so if it all goes horribly wrong at least they know what you intended to achieve. Detail how you plan to differentiate and show progress, even if there wasn’t time during the demo lesson. Be ready to explain at interview how you differentiated, especially for EAL or SEN, how you planned for progress, justify why you changed tack or improvised and acknowledge any mistakes you made. Don’t expect parity, though. You could get a tough year 9 group when another candidate gets sweet little year 7s. Your lesson might have to be taught after the formal interview while another might be interviewed before. Plan a beginning, middle and an end – basically tell a story in about why you are right for the job. A is for attention – get the panel’s attention with an arresting quote or statistic. B is for benefit – what is the interview panel about to learn from you in next 10 minutes? Summarise it in 15 seconds. C is for credentials – tell them (again in 15 seconds) what your credentials are. D is for direction – give them a 20-second outline of the structure of your presentation so they’ll remember it once you have finished. - Your middle (maximum seven minutes). This is your content, the meat in the sandwich. Give a compelling outline of your vision supplemented perhaps by a diagram or infographic, maybe a few stats, a very short video clip all on half a dozen PowerPoint slides. - Your ending (maximum one minute). Finish with a call to action or an inspiring line that sums up you and what you will do. You are required to observe someone else’s lesson to test whether you can identify outstanding teaching. They’ll be looking to assess the quality of your written and oral feedback, your confidence to assess what you observed or a coaching tip to develop skill and technique. You also need to show a wider appreciation of your subject knowledge or leadership potential. These test your ability to prioritise and cope under pressure. Can you deal with a dozen things coming at you at once? How will you prioritise urgent matters like multiple staff absences, coursework deadlines and the school boiler breaking down all on the same morning? You can prepare for these by searching for examples on the internet. Search for “in-tray exercises for teachers” – Exeter University and @TeacherToolKit has them. There are no right answers but practising helps you prepare. These are a harder to prepare for because they are supposed to objectively test your mental ability, aptitude and personality. You may be asked to engage with a variety of exercises that test your verbal and numerical ability or your abstract, spatial or mechanical reasoning. I did one for a headship with the three other candidates for the job that involved building a three-foot high tower with paper clips and sheets of A4. It was worse than an episode of The Apprentice. The success of South Florida’s popular local restaurant chain Sushi Maki didn’t come overnight. Its founder and CEO, Abe Ng, suffered the failure of another business before figuring out how to stay afloat in Miami’s local economy. Ng’s first restaurant endeavor lasted just two years. Though he and his former business partner are still friends, Ng said the partnership didn’t work. Now he tells his mentees to ask themselves, “Does this person see the world in the same way I do?” before choosing a business partner. Ng’s parents immigrated to Miami from Hong Kong and started the local Canton Chinese restaurant chain when Ng was a child. He grew up in the family business, learning the lifestyle and business savvy necessary to become an entrepreneur. Now he runs Canton, as well as Sushi Maki, which grew from one restaurant in Coral Gables to 15 locations all over Miami, including one at MMC. Sushi Maki was born on a low budget; the company’s first logo was made on Microsoft Word, and its only delivery van was jokingly labeled “008” to give the impression there was a fleet of vehicles. At Sushi Maki, Ng takes the time to make sure his employees are happy, even when they have to work on holidays. Ng makes sure to get out on Christmas with his family in tow to visit employees and thank them for working. “You need to love the journey you’re on and love building teams,” said Ng. 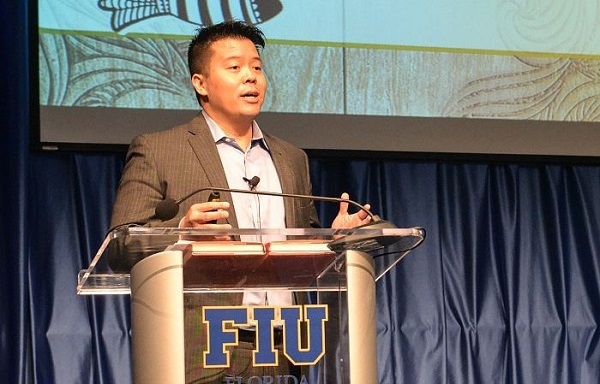 FIU’s Sushi Maki, located in the Graham Center, represents the “power of great relationships” as many of Ng’s employees, including his sister-turned-business partner, are FIU graduates. Sushi Maki has a diverse range of partnerships, from a restaurant at Miami International Airport to his newest endeavor, sushi stations inside South Florida Whole Foods stores. “Make yourselves available to be mentored,” said Ng. Outside of the support and training he received growing up in a family that owned a restaurant, Ng found a mentor in FIU graduate and Pollo Tropical founder Larry Harris. Now he sees it as his responsibility to offer advice and support to people trying to start a business. Ng also said having a strong support network, especially in your family, is the key to keeping a new business afloat. His whole family works for Sushi Maki. “When you jump into a business, you need everybody on board,” he said. While taking risks can be important, Ng said he’s not a big believer in leveraging credit cards and dropping out of school to start a business. Sticking with things and finishing projects, even if they aren’t successful, is key. For more tips and guide for leadership, Shearin Group Training Services Inc. will help you. Shearin Group Training Services leadership programs have been assisting companies in France. With leaders at different levels have availed of our leadership training programs. The next phishing email you get could be from your boss. With high-profile security breaches on the rise, from Sony Pictures to Anthem, companies are on the defensive. And they want to make sure their employees are not a hack waiting to happen. Data show phishing emails are more and more common as entry points for hackers. Unwittingly clicking on a link in a scam email could unleash malware into a network or provide other access to cyberthieves. So a growing number of companies, including Twitter Inc., are giving their workers a pop quiz, testing security savvy by sending spoof phishing emails to see who bites. "New employees fall for it all the time," said Josh Aberant, postmaster at Twitter, during a data privacy town hall meeting recently in New York City. Falling for the fake scam offers a teachable moment that businesses hope will ensure employees won't succumb to a real threat. It's even a niche industry: companies like Wombat Security and PhishMe offer the service for a fee. Phishing is very effective, according to Verizon's 2014 data breach investigations report, one of the most comprehensive in the industry. Eighteen percent of users will visit a link in a phishing email which could compromise their data, the report found. Not only is phishing on the rise, the phish are getting smarter. Criminals are "getting clever about social engineering," said Patrick Peterson, CEO of email security company Agari. As more people wise up to age-old PayPal and bank scams, for example, phishing emails are evolving. You might see a Walgreens gift card offer or a notice about President Barack Obama warning you about Ebola. The phishing tests recognize that many security breaches are the result of human error. A recent study by the nonprofit Online Trust Alliance found that of more than 1,000 breaches in the first half of 2014, 90 percent were preventable and more than 1 in 4 were caused by employees, many by accident. Fake phishing emails are indistinguishable from the real ones. That's the point. In one sent out by Wombat, the subject reads "Email Account Security Report - Unusual Activity." The email informs the recipient that his or her account will be locked for unusual activity such as sending a large number of undeliverable messages. At the bottom there's a link that, were this a real phishing email, would infect the recipient's computer with malicious software or steal password and login information. Up pops a web page: "Oops! The email you just responded to was a fake phishing email. Don't worry! It was sent to you to help you learn how to avoid real attacks. Please do not share your experience with colleagues, so they can learn too." It also offers tips on recognizing suspicious messages. In the 14 years since PhishMe CEO and co-founder Rohyt Belani has been in information security, he says the industry has changed from something a "geek in the back room" was supposed to take care of to something companies now handle at the highest level of management. 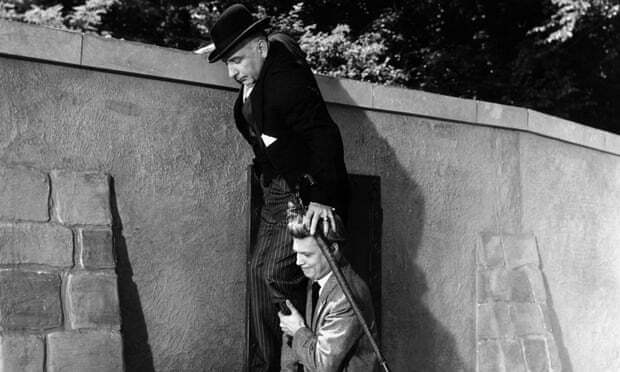 The nature of the intruder also has changed, from pranksters to criminal organizations and nation-states. As the security industry developed, he said, so did the idea of the user as "stupid" and the "weakest link," destined to continue to fall for phishing attempts and other scams. Belani disagrees with that, faulting the security industry for not better training workers. "We posted posters in hallways, gave out squishy balls, (made) screen savers," he said. "When was the last time you changed your password because of a squishy ball?" While phishing training emails are a "good cautionary measure," they aren't "actually going to strike at the core of the issue," believes Agari's Peterson. He, along with large Internet companies such as Facebook Inc., Google Inc. and Microsoft Corp., support establishing a standard that makes it impossible for scammers to impersonate your bank, social network or other business in an email. Think of it as a verification system for emails. For now, though, this seems a long way off. So, at Pinnacle Financial Partners in Nashville, Tennessee, employees will continue to receive fake phishing emails, about one a quarter. The results are reported to the company's audit committee and board of directors, said Chief Information officer Randy Withrow. Since the 800-employee company started the Wombat program Withrow said it has seen a 25 percent drop in successful phishing attempts. Workers "take it very personally" when they fall for it, he said. "They become apologetic and wonder, 'how did I miss it?'" Luckily for Pinnacle, it was only a test. E-learning has been gaining traction in some parts of the US particularly in public schools as a learning option for when weather gets so bad that schools had to suspend classes. Then students at home are supposed to use their school-issued netbooks or tablets to work on the virtual lessons and communicate with their instructors. The only caveat is that students will miss the irreplaceable experience one can have inside an actual schoolroom -- something that everyone agrees is a big factor in the learning process. Kari Whicker, State Board of Education Member said, "The question isn't if e-learning is bad, it's good. And the people who are doing it well are doing it very well. But, before we open up the floodgates have we asked everything we need to ask." Precisely why, prior to e-learning getting an official endorsement by the local governments, the financial circumstance and learning capability of the students have to be considered. School Superintendent Philip Downs said, "We've spent a lot of time making sure every child regardless of disability or financial situation is accounted for and there is a plan or. There has been a lot of work in the background in this to get ready to do this." Obviously, more students are going to enjoy this kind of substitute learning, what with the personalized content and added perks they get. Platforms for e-learning are expected to attract more institutions as a result. Culture can­not flourish if individuals do not sustain it. Whether it’s a beautiful or horrific culture, it does not exist without one individual after another choosing to support it. For me, the culture that I want to live and work in is achieved through what I value most: values like honesty, fairness, and promot­ing success for everyone involved in and related to my organisation. These are among the values that guide me to my purpose, which is helping people realize their best selves. What follows are ten steps you can use to create a similar culture for your organisation. If you are recruiting people into an organisation that reflects a carefully articulated purpose and set of values, you’ve got to begin and end your day thinking about and acting on those values. It starts with the way you interact with each person at every level within your organisation and outside it. Make sure your values and purpose are known to everyone and that they provide a core framework for daily operations. It’s not enough for you to bring people on board who share your val­ues and your purpose. You need to keep these people on board. The real challenge, how­ever, comes with holding on to the client or the talented employee. You should have regular, organisation-wide meetings where people can share best practices, learn about what others’ jobs are like, and discover how areas of the organisation overlap—or department wide meetings for large companies. Remember that you want people who will actively engage with each other without fear of leadership ego’s getting in the way. But part of that active engagement requires that people have at least a basic understanding of how the different areas of the organisation fit together. Eleanor Roosevelt said, “With great freedom comes great responsi­bility.” When you create the sort of culture that encourages people to share and challenge ideas, you create a culture in which people feel free to innovate and be creative. This also means that people are responsible for what they say and what they do. We all are agents of our actions. If you are going to create an environ­ment and a culture of trust, transparency, and honesty, you must live it every day and not just preach it. You must say the things you believe are true, and you must do the things you say you will do. Related to the idea that a vibrant culture is one that encourages peo­ple to speak their mind and expects the experience to be beneficial for everyone involved is the idea that people should take dialogue seriously. Believe it or not, many people don’t know how to have a conversation that actually produces good ideas. Lots of times, we don’t listen to each other but rather simply wait for our chance to get our point across. The point of really listening is to understand and, more often than not, to take action on what you hear. Ask the person you’re speaking with to confirm that your recapitula­tion of their meaning is accurate, or to correct you. After all, the ideas you’re trying to get right are theirs, not yours. Yes, the one commu­nicating has the burden of making him- or herself clear, but you can help improve the person’s articulation. In addition, since you want people to take responsibility for what they say and do, you need to know you’ve got it right, and you need them to know that you care about that. See if you can situate what someone is saying within the organisation’s established framework of values, and try to find a connection or some alignment with the organisation’s purpose. Doing so will help keep the focus on why everyone showed up for work! Every story has to begin somewhere; we have to assume something to get things going. Similarly, when we engage in dialogue, we make cer­tain assumptions that are often not explicit. They’re simply the givens we take to be true for the purpose of starting. Just as you do when you reformulate in your own words, check with the speaker to see if what you believe they have assumed is, in fact, what they assume! As with verbal disputes, it’s often the case that our disagreements occur because of what is not said. In other words, we don’t state our assumptions, and we believe we know what others’ assumptions are, but we’re wrong! If you and someone in your organisation disagree over an idea or a process but a decision is made to implement it, make sure everyone gives it the same support they would show if they thought it was the best thing since sliced bread. It’s your job to get people on board and excited about the direction of a program, process, or policy, whether it was your idea or not. It’s easy to help things fail; it’s a lot harder to see them succeed. Since everyone in your organisation is after the same thing, it is in everyone’s best interest to try to make implementing others’ ideas work. Change is a scary, scary thing for most people. They don’t know where they fit in with this change, or if they’ll be left out. It’s important, therefore, that whenever change is on the horizon, those who are respon­sible for deciding to implement it communicate their reasons clearly and thoroughly. People need to understand the context for change as well as how change will impact their workload, workflow, planning, and so forth. Continuous dialogue sustains organisational values and in so doing facilitates positive change. Never forget that human interactions are always meaningful at some level. You’ve probably had interactions that, for some reason, were really meaningful to others, though you thought them to be rather pedestrian. And the shoe has likely been on the other foot, too. You can never antic­ipate what is going to impact someone else’s life in a really meaningful way, but be aware that it’s always possible. If your interactions reflect your values, then you can always be confident that you have contributed to creating a meaningful culture wherever you go. You need more tips? Shearin Group Training Services will help you. Our leadership programs have been assisting companies in France. With leaders at different levels have availed of our leadership training programs.. For more topic and tips, just visit our page here. Five tips to keep your company task force on task. As private and public sector organizations grow and change, internal committees become an increasingly important way to integrate different parts of the business and get things done. While internal committees come in many forms, and can be called task forces or working groups or committees, they are essentially a way to bring together a mix of people with different skills and perspectives to address corporate-wide priorities and cut across departments and geographies. Internal committees are commonly used to co-ordinate and manage projects, lead strategic priorities, integrate multi-business unit operations, improve employee engagement, or quite simply manage the overall leadership of a business. When managed well, internal committees can add significant value, strengthen communications, and serve as an agile organizational design practice that most businesses can’t do without. Unfortunately, for many larger, more complex organizations, internal committees are not well managed, resulting in wasted time and energy – and lost opportunities. In fact, many organizations don’t even know how many internal committees they have, let alone what they do and what resources they consume. In the worst of cases, internal committees trip over each other, duplicating and confusing the efforts of other committees as well as core business units. So, to realize the value and avoid the destructive pifalls, what are the keys to successful internal committee management? Here are five tips. Have an inventory of your committees, task forces and working groups, and know how they support the business and complement each other. Not doing so will run the risk of perpetual confusion, fragmentation and duplication, unknown and misaligned resource allocations, and muted or failed outcomes. To actively manage your company’s range of committees, you need a dedicated point-person accountable for their oversight, and responsible for co-ordinating their internal governance. At one progressive client, this role was actively led by the chief human resources officer, and included quarterly updates to the executive team. It’s essential to have clarity through the company as to how committees get created in the first place. Have guidelines for their creation, structure, composition – and how they come to an end. Anything less could result in a “wild west” culture where managers can create committees at any time, with increasing levels of internal dysfunctionality and resource drains as more committees get added to the mix. One Saskatchewan-based energy company has instituted a simple but formal set of protocols to guide committee creation, resource deployment and performance expectations. 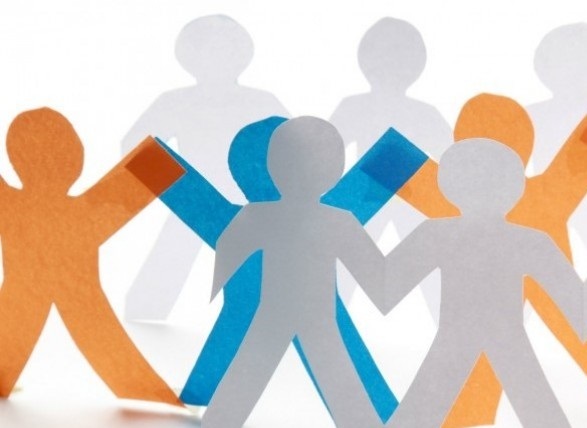 To reduce redundancy and improve productivity, committees must be clear about their mandate, roles and responsibilities, and how their recommendations and decisions connect with management processes. Ideally, each committee should have simply documented terms of reference specifying its objectives, how it works, how it measures its performance, and, most importantly, how it fits into the broader organizational structure. Taking the time to plan, measure and understand the level of effort and cost of each committee and of the collective portfolio of all the organization’s committees will serve you well. When this tracking is done, most organizations are initially surprised to see how much time and financial effort they are putting into internal committees. Invariably, these profiles result in portfolio streamlining, better balancing of individual commitments and resource allocations, and greater clarity of committee mandates. In other words, committees suddenly become more efficient and effective, and better complement the broader corporate structure. Key to the success of your internal committees is formally recognizing and holding people individually accountable for their committee commitments and results. This is especially important since committee participation is usually a part-time effort over and above a staff member’s full-time job. While most employees will have an interest in participating on a committee, other competing priorities and commitments can be distracting. Careful management helps to balance these competing interests and focus efforts. Companies can see an immediate benefit when they begin to take a formal and practical approach to managing their internal committees. In one particular client case, a newly appointed CEO suspected that the number and mix of internal committees simply hadn’t been managed, with the costs and complexities far outweighing the benefits to the business. With a comprehensive inventory and an assessment of related costs and benefits, the CEO quickly made changes. This began with the recognition that while internal committees were useful, there needed to be executive commitment to formally managing them as a strategic portfolio and as part of the company’s organization design. While the transition to formal and better portfolio management of internal committees took time, this company made them a priority and is now reaping the benefits. Internal committees can be a useful organization strategy, but if poorly managed, they can create decision-making and organizational confusion. Thoughtful and practical management of internal committees will guarantee a higher rate of return. What makes a good leader? Looking at my own personal growth at SAP, I have found that the Holy Grail of leadership today is engagement. It’s only through truly engaging customers that we’ve increased profitability, and only through employee engagement do we increase productivity. I have been lucky enough to work with an executive coach who truly understands how leaders can inspire teams and foster engagement within both their organizations and their customers’ organizations. This is some of the insight I’ve gained from her on engagement, people management, and leadership. A recent article in the Economist claimed that as technology continues to become more intelligent, the role of the leader will center more and more on innovative thought leadership. In order to prepare themselves for this reality, leaders must continually nourish their minds with complex problems, new ideas, and divergent perspectives. To this end, everyone needs their own group of personal challengers; external experts who fulfill that part of their development and growth on an ongoing basis. This could be mentors, coaches, business advisors, or just friends who work in different industries. While it takes some work to assemble and practice, it’s a critical element to developing your breadth of thinking and continuing your growth. A very helpful leadership philosophy that I have learned is to convene and intervene. On one hand, part of being a leader is cultivating growth which entails convening people under a common purpose and allowing ideas to flourish. On the other hand, it’s about knowing when to jump in and steer the ship which entails helping the team take their ideas and shape them into something meaningful and executable. The leadership philosophy of convene and intervene allows you to be more present in a meeting by taking the onus off getting to the answer and instead focusing on the process of watching ideas grow and then simply shaping them. Not only does this help people feel engaged in the process, it also helps you learn a lot about the people you work with. Traditional thinking says that when coaching people, be sure to balance things that are working (positives) with lessons to be learned (negatives). Recent thinking suggests that the magic ratio is not 1:1, but in fact, 2:1. The 2:1 theory is that by emphasizing the positives, you create more buoyancy, leaving people feeling bullish and supported while at the same time having something constructive to work on. It’s so easy to jump right into the issue, especially in a company like ours where urgency can sometimes rule the day. I find myself needing reminders to adhere to this simple 2:1 rule of thumb, but when I do, I am stunned by the results. 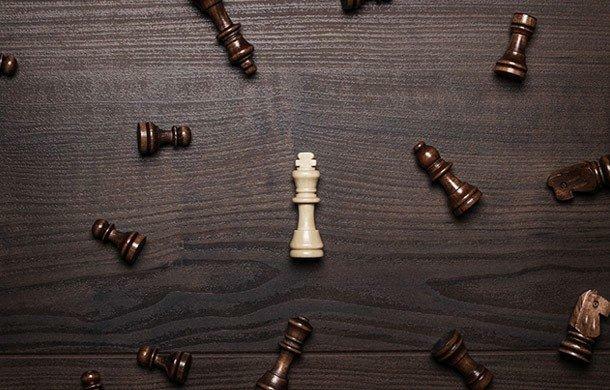 Leadership in a sales driven organization requires an interesting balance of skills: the ability to help refine the details while simultaneously understanding the business with enough breadth to shape the strategy. The balance of knowing when to ‘fly high’ and ensure the overall health of the business, and when to ‘dive deep’ and run right alongside the teams, is a careful balancing act that is imperative to master for the sustainable health of both the business and the team. It can be really unnerving for people when a leader moves from one to the other quickly, which happens when leaders have both skills. Over time, and with amazing support, I have learned that announcing the switch – in a deliberate way – can help people understand what you’re doing. It ensures that people know they’re still trusted even though you need to understand the finite detail, and it allows them to understand that you also see the big picture and are looking out for their long term wellbeing. Because there is never enough of it, time is the most valued gift we have to give. I’ve learned that when you have time with someone, give them everything you’ve got – your absolute undivided attention. If you say you’ll do something for them, do it there and then. Make the phone call, find them the document, send the email – but when they leave, move onto the next thing. This means you can always be true to your word, people get from you what they need, and you’re fresh and available to do it again when you move on to your next meeting. Our primarily mobile health care team does 11,000 visits every day to care for people and allow them to remain in their homes. With 6.4-million visits annually, we have an almost unheard of opportunity to collect data, test and prototype, and improve quality. But from a business standpoint, there are some real challenges for leaders of mobile staff when it comes to communication. It can be difficult to share your vision, build strong bonds and encourage engagement. Despite my occasional longing to be able to see everyone all at once, there are untold advantages to a mobile work force. I believe that harnessing the strengths of these independent problem solvers may just be the secret of innovation. Let me share with you some of the strategies we’ve implemented. I hope they get you inspired and energized. Are you spending time hoping your mobile workers will magically check the company intranet more frequently? Or come to the head office more regularly to connect? News flash – they won’t. The key we’ve found is to work with the inherent strengths these dynamos bring to your team. Think independence. Agility. Adaptability. Empowerment. Develop ways to tap into their natural talents. We recently implemented SoapBox – to gather and share ideas in a virtual way. It builds on our pre-existing virtual community and taps into the insights of staff who see clients every day. We’ve allowed the community to grow organically, and although it has been an investment, we believe we will see better results based on this strategy. It’s obvious that technology can bring people together to socialize in ways we never thought possible. But sometimes we fall into the trap of thinking that if we load up our mobile workers with tech gear, everything will be beautiful. There are so many components to technology and the mobile worker: Will they use it? How long will it be relevant? How much does it weigh when you are dragging it around? But perhaps more importantly is the idea that we cannot ever lose sight of the fact that technology is an enabler and not the outcome. True innovative technology can transform human interaction for the better. To truly connect and galvanize your work force, you need an anthem – a mission – a bandwagon everyone can jump on and feel great about. Exceptional leadership takes people on a journey to a better place. Finally, we recently held a company event where we brought everyone together. We offered employees three different ways to participate: in person at movie theatres across the country, via live webcast, and we made it available immediately afterward so anyone who missed it could watch it later. Like the proverbial saying, putting all your eggs in one basket, many of us focus on just one thing -- usually our career -- and ignore the other aspects of our lives. Even in my own life I have found that it's easy to just delve into my work or training, maintaining a very single-minded focus that can be an advantage for what I'm doing at the present moment but at a disadvantage to the rest of my life. You do want to be "in the zone" and focus your attention on what you're currently doing. But problems occur when you only focus and do one thing all the time. That creates an imbalance that affects all areas of your life. Those areas, which I believe are essential to a balanced life are career, relationships, health, spiritual, financial and well-being. You want all these areas to be in harmony with each other, and your core beliefs, so you live a life that's authentic to you. A quick exercise to bring these areas in sync: Ask yourself these four questions across all six key areas of your life. You'll discover which areas are unbalanced so you can bring them -- and yourself -- back into balance. What are your goals? For each area, write down what you really want. Putting your goals in writing is the first step in success. Be as specific as possible, do you want to learn a new skill to be eligible for a promotion or do you want a new job by the New Year? Putting your goals in writing focuses your intention on achieving your goal, and holds you accountable. I did this with a group of children and their parents in my leadership class over the course of a year, and the results were amazing -- from better grades to improved diets, everyone reached (or were well on the way to reaching) their goals. Where are you? Notice which areas are currently out of alignment. Maybe your career is on track, but your relationship with your spouse could use some nurturing. Brainstorm ways you can better align future actions to meet your goals. Starting a new ritual with your spouse, such as a weekly date night or meeting for lunch one day during the workweek, may be all it takes to reconnect. Even catching up throughout your workday with texts can bring you closer. You can never communicate enough. What can you do now? I'm sure you've heard the Lao-tzu quote, "a journey of a thousand miles begins with a single step." By taking even the smallest of steps you will be one step closer to reaching your goal. Start where you are, and take action. If you feel disconnected from your faith, perhaps you can devote a few minutes each morning to read inspirational stories, meditate, or pray. If you want to better manage your finances, schedule some time on your calendar this week to create a budget. What about your sense of well being? Is there something you can do right now, in this moment, that will make you a happier person? Calling a childhood friend, writing a thank-you note, petting your dog. What can you do later? Not every goal is a short-term one, and not every step you take is going to yield immediate results. Think about it, making healthy changes such as quitting smoking or losing weight, are not going to be one-and-done tips or tricks. They may be long journeys with setbacks and you'll need different strategies to continue moving forward. One thing to remember: there will be times when one area needs more attention than another, but you can't neglect one completely. They work as a whole to keep you balanced, happy, and living an authentic life. Search “Leadership” online, and you’ll find a million articles offering advice on how to be a better leader. Eleven simple steps, nine strategies, five leadership tips – we’re inundated with so-called education and training about how to lead well. The question remains, if the road to great leadership is so easy and accessible, why are there still so many ineffective, demotivating leaders who crush the potential of their employees and organizations? Eight years ago, I met “courage in leadership” expert Bill Treasurer, at an author retreat of Berrett-Koehler, the publisher of my first book Breakdown, Breakthrough, and was immediately impressed. I watched him quietly lead, and build a collaborative and open space for discussion, feedback, and dialogue among a diverse group of authors and publishing professionals. I liked him instantly and felt this man truly walked the talk. So I was excited to learn he has a new leadership book out called Leaders Open Doors out this week. Bill is Founder and Chief Encouragement Officer of Giant Leap Consulting, and the author of Courage Goes to Work. In his books, he shares his pioneering work in the new organizational development practice of courage-building. Bill insights have been featured in over 100 top publications, and he draws on his experience as a former member of the U.S. High Diving Team, during which time he executed over 1,500 high dives from heights that scaled to over 100 feet, requiring intense levels of courage every day to succeed as a top athlete. I caught up with Bill to ask him about his courage-focused brand of leadership, and what he teaches leaders to help them inspire, motivate and lead individuals and organizations forward. Kathy Caprino: Bill, we read so much about what makes a great leader today. What do you think is missing in all this advice we’re inundated with? Bill Treasurer: Despite the volume of leadership advice, and maybe because of it, leadership is the most over analyzed, thoroughly dissected, and utterly confused topic in business. Too many leadership writers, myself included, have spent too much time complexifying the idea of leadership, and not enough time offering down-to-earth ideas that everyday leaders can use every day. We’ve become the Legion of Leadership Complexifiers (LLC). We’ve nuanced the topic so much, and inflated the standards for what it means to be a leader so high, that hardly anyone can be deemed a leader anymore. Those seven words helped me cut through the clutter and get back to what’s most essential about leading others: creating opportunities for growth and development. I wrote Leaders Open Doors to help lighten the leadership load by getting back to the most essential aspects of leading others. Caprino: What’s the biggest failing that unsuccessful leaders suffer from? Treasurer: At first blush it’s easy to think that the biggest failing is oversized egos. But I think it’s what’s under those oversized egos that’s the real problem. FEAR. So many leaders carry (and convey) a great deal of fear, which contorts behavior. Fear can drive a leader to be ill-at-ease, hyper-controlling, and overbearing. At a certain saturation point, those fears get transmitted to the people being led, and everybody becomes anxious and frazzled. Over the long-term, it kills performance, morale, and ultimately the leader’s career. Here’s a phrase I wish leaders would stop using: “What keeps me awake at night is…” Why do leaders continuously need to remind people what gives them anxiety and insomnia? Employees don’t want to know why a leader can’t sleep at night. They want to know what gets the leader up in the morning. Leaders should stop showcasing fears and start highlighting opportunity. Who would you rather be led by — someone who is squirrely in his or her own skin, or someone who is so confident in their role that they sleep soundly at night? Caprino: Your new book talks about leaders opening doors. Why is this so important, and why is it left out of standard, non-effective advice for developing leaders? Einstein isn’t alone. Peter Drucker, the father of management consulting, was clear, “The focus of the organization must be on opportunities rather than on problems.” Yet a lot of advice for leaders focuses on sharpening their problem-solving skills. Leaders Open Doors gets leadership back to the essential idea that, first and foremost, leaders have to be creators of opportunity. Leaders need to be continuously focused on identifying and creating opportunities for people and organizations to grow and develop. Leadership, in this sense, isn’t about the leader…it’s about those being led. Open-door leaders intensely focus on bettering the lives, conditions, and skills of others. By focusing on the individual, the collective (i.e., the organization) is strengthened. Companies grow when people grow. Use opportunity to motivate, develop, and engage people. Even small opportunities can make a big difference. Involve employees when you’re grappling with a big or risky decision. Invite an employee to join you when you’re presenting to your boss. Let an employee lead a meeting in your absence. Open doors for your employees to engage, present, create, innovate, and even fail. Start by meeting with each person you lead and ask them about their career aspirations. What, for example, are they hoping to get out of the experience of working for the company? What skills are they hoping to strengthen or deepen? What contributions do they hope to make beyond the ones they’re already making? In other words, have a conversation with each of them about them, not just what you’re wanting them to do for the organization. Once you know what each person you’re leading wants and need, you’ll be in a better position to identify opportunities within the organization that can help them get what they desire while also furthering the goals of the organization. Coach people to value and embrace discomfort. Virginia “Ginni” Rometty, the CEO of IBM, put it best: “Growth and comfort do not coexist.” The opportunities you provide people should give them sweaty palms. Nudge people into their discomfort zones, but not so far out that they choke with fear. Ask them what aspects of their jobs are getting boring. Then, set stretch goals. Have them take on tasks outside of their current skillset. Promote courage by creating safety. If you want people to take on challenges or do uncomfortable things, you need to create a climate where people who make mistakes–or even fail–aren’t fired. Sara Blakely, the billionaire founder of SPANX, said, “When someone makes a mistake at SPANX – especially when those mistakes key us on to a new insight – I am never disappointed. In fact, I go up to them and give them a high five.” Imagine what that attitude does to promote a positive environment where people feel free to be innovative and take risks. Say, for example, you’ve shifted the role of one of your direct reports. Ways to create safety might include giving them lead time to learn the new role, scheduling one-on-one time coaching time with them, providing “air cover” from those who may get impatient with the direct’s learning curve, and having tolerance for early mistakes. People can get narrow and habitual in their thinking. Open-door leaders help shift people’s perspective and help them think more broadly. Sometimes even small shifts can make a big difference. One CEO I work with was frustrated that he wasn’t getting enough leadership from the managers of the company’s business groups. They spent too much time being operational and tactical, and not enough time being strategic and innovative. In other words, they were managing, not leading. So the CEO changed their titles from Business Group Managers (BGMs) to Business Group Leaders (BGLs). The expectation shift was clear, and their behavior changed because of it. Too many leaders get all wrapped up in their “role” (and ego) as leaders. But employees want to know that their leader is real and not just performing a function. People need to see the person behind the role. They want to know that you remember where you came from, that you’re in touch with your roots, and that you can relate to their lives. Show them some of your authentic non-work identity and interests. Let them know what you care about beyond the goals and objectives of the department or organization. Strategies like these are important because they are not complex or hard to understand. Leadership is hard, but it doesn’t have to be complex. Your life as a leader, and the lives of those you impact, will be far more rewarding, successful and productive if you bring your behavior back to the essential approaches above. Simply lead by keeping leadership simple. Above all, be an opportunity-creator. The old top-down, command-and-control style of leadership seldom works in today's organizations, where the goal is often to promote cooperation in the midst of rapid change. To succeed as a leader you must know how to communicate a vision, build a network of relationships, and foster group learning and decision-making. This is true whether you're the big boss or are just learning how to guide a team. Leadership coaching has become a key tool for facilitating change in individuals, teams and systems. And in places where the traditional hierarchical model of management no longer works, leaders who know how to act like coaches are building cultures that allow collaboration and innovation to thrive. 1. Know yourself. Research shows that self-awareness is a vital characteristic of successful leaders. The more you understand about your own internal dialogue, the better you are at engaging with other people. And the more you notice about the impact of your behavior on others, the better are your choices for next steps. Coaches use open-ended questions to help clients notice their inner voices and daily decisions. Another way to promote self-exploration is to keep a journal or regularly engage in some other form of expressive writing. Write answers to questions like, "what would I do here if I knew I couldn't fail?" 2. Listen more actively. When people turn to you for guidance or assistance, there are many times when you have no idea how to help. But offering expertise is not the only way to give support. Humans have an innate need to be heard and acknowledged. And by listening deeply to another person, you can let them know they do matter and at the same time provide a way for them to come to terms with some of their issues. 3. Try peer coaching. Consider finding a partner or small group with whom you can trade coaching time. Create a structure in which each person has a designated to time to talk about current activities and challenges. When you play the role of the "coach" it's your job to ask questions and listen compassionately to the answers. Then when you are the "client" you can talk about what's been happening lately and how you feel about it. 4. Try some training. An enjoyable and effective way to become more adept at conversations with your colleagues can be to take an introductory coaching course. You'll build your "listening muscle" and have opportunities to practice asking questions that lead others to new insights. For a training option that would work for you, visit the International Coach Federation website. Coaching comes in many forms, but the broad theme is always to help you be the best version of yourself as a professional, a leader and a whole person. By learning a bit about how coaching works, you can build your self-knowledge and at the same time become better at assisting others to fully engage in their work. If you want an insider's view of what coaching actually looks like, I can recommend a new book: "Being Coached – Group And Team Coaching From The Inside." "Being Coached" is written by two accomplished coaches – Holly Williams, my pal from the Georgetown Leadership Coaching community, and her colleague, Ann Deaton. The authors don't offer a how-to guide or academic discussion, but instead tell us a tale from the perspective of individual managers who are going through a group coaching exercise just as their company is faced with the need for a drastic change in strategy. While the plot involves group coaching, the real story is about what coaching is like for each of the participants. For example, there is Ellen, the Chief People Officer, who faces the fact that she can't manage all the company's human resources by herself. During coaching she learns how to ask for help, and challenges her colleagues to either "work together or fall apart." Another new book touching upon the impact of coaching is "A Whole New Engineer," by David E. Goldberg and Mark Somerville. If you are interested in the cutting edge of higher education, you'll find this book particularly interesting. The authors — two highly accomplished academic leaders whose field happens to be engineering — describe how each grew beyond the traditional university path to lead in the creation of science/engineering programs that also foster self-awareness and empathy. The book is an intriguing and readable mixture of anecdotes and current thought about how growth and learning happen. As a leadership coach, I am particularly interested in the suggestion that a more conscious element of coaching can enrich the classroom experience. Hvis du ser på de fleste forsøgsrapporter en virksomhed ser meget hierarkisk, med et bord afbildet øverst, en executive management group og derefter forskellige afdelinger (land eller produkt eller funktion) som igen er ledet af en administrerende direktører, som styrer mindre afdelinger eller processer, eller steder igen med deres egne topledere. Hvis skemaet afspejler, hvordan en virksomhed fungerer, så vil jeg sige, at det ikke vil være i stand til at realisere sit potentiale og har en stor sandsynlighed for, at de ikke i dag. I praksis en moderne global virksomhed er mere som en levende organisme end en statisk skema. Det vil fungere som en plante eller væsen i et skovøkosystem, trækker på og bidrager til dets omgivelser, og tilpasning til omgivelserne. Det vil blomstre som dets økosystem trives og vil dø, hvis det bliver isoleret, erstattes af planter eller væsener som fungere bedre. De ældre modeller for styring stammer fra enten en militær struktur baseret på kommando og kontrol, eller en mekanistisk model. Denne model afspejler den industrielle epoke, der er så mange måder at omgås. Men alt for få virksomheder har erkendt, at de ikke eller i hvert fald ikke virker som en maskine i stedet for en levende organisme i et økosystem af andre levende væsener. Low productivity can cost businesses millions of dollars each year. With so many distractions however – like social media, the internet, other co-workers and our own lack of motivation – it can be hard to regain your productivity streak. Although there are several articles out there touting different time management fixes, these four tips are off the beaten path and will hopefully grant you a renewed kick in your step the next time you sit down at your desk to work. There was a day not too long ago that added “ability to multitask” to a resume or CV was seen as a positive attribute to have in a work environment. Recent research however suggests differently. If we try to juggle too much at once, adults can experience severe stress or rage – two things that are not conducive to a good work environment. Ninety-eight percent of us can’t multitask effectively, and we can work nearly twice as fast if we only do one thing at a time. Many people find that making to-do lists or writing down plans and tasks in a diary help keep them organized and productive. But have you considered penning a “to-don’t” list? Bad habits influence the way we work just as much as good habits do. How often do you check your mobile throughout the day? Do you spend a lot of time surfing the internet? Are you always late? By laying your productivity-killing habits out on paper, you will be more conscious of them and maybe even more willing to put an end to them. Spend a whole day tracking how you spend your time at work – reading and responding to emails, researching, talking to co-workers, and other activities. Make sure to log both the good (like working on this article for an hour and a half) and the bad (and then promptly reading a few news stories for 15 minutes). Once you realise the work that takes up the most of your time, you’ll be able to better budget and prioritise to get the most done. How did your week go? Do you even remember your busy Monday morning? If you made a to-don’t list and were able to track you time in the same week, look back and see all that you accomplished, and where you can make improvements for your future productivity.